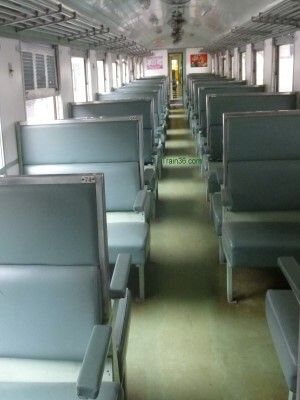 Train 37 is a daily Special Express Train that leaves from Bangkok's Hua Lamphong Railway Station on Thailand's Southern Railway Line, terminating at Sungai Kolok Station, right on the Thailand - Malaysia border. At Sungai Kolok the railway line ends and you have to walk over the border into Malaysia and catch a bus or taxi to Kota Bharu which is the nearest major city. If you wanted to continue your railway journey South, the nearest station to Sungai Kolok on the Malaysian side of the border is Pasir Mas, which can also be reached by bus or taxi. Please note: Train number 37 is now also train 45, the train you take from Bangkok to Padang Besar. Passengers for Padang Besar have to disembark at Hat Yai Junction Railway Station and transfer to another, much smaller train to take you to the border at Padang Besar. 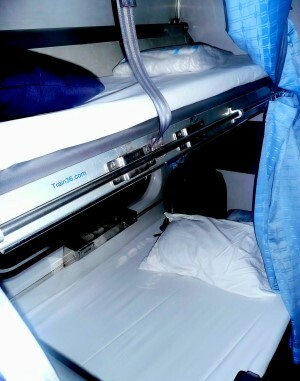 Train 37 from Bangkok is an overnight sleeper train service so has beds available in both First and Second class, both of which are air-conditioned. In 2nd Class, the Lower Berths are easily the best for travelling in, as they are much wider and offer much more space, plus a window. The Upper Berths are slightly cheaper and quite a bit narrower, so for the sake of your comfort and a good nights sleep, try to get the lower berths, especially if your are tall or larger than average. 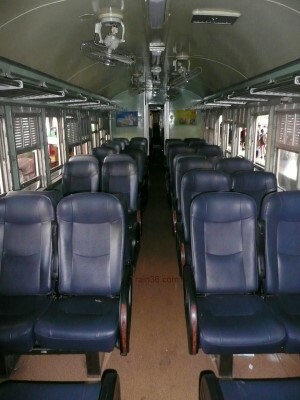 For shorter journeys, this service provides Second and Third Class seats, in fan cooled carriages. Please see the following pages on our site for all you need to know about the major railway stations on this route.